Paint by Numbers to be first in murder mystery series. 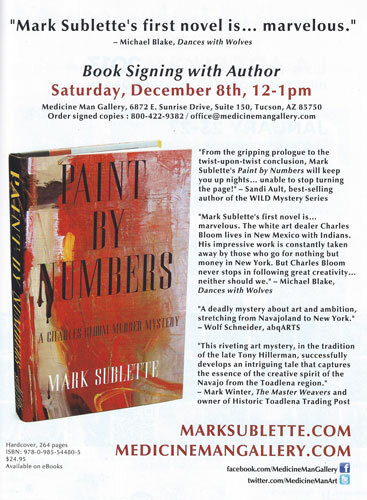 On December 8 avid readers and art lovers can meet gallery owner and author Dr. Mark Sublette when he will sign his first mystery novel, Paint by Numbers: A Charles Bloom Murder Mystery. Set against the backdrop of the Navajo Nation, the novel follows the journey of protagonist Charles Bloom, a contemporary art gallery owner, who is faced with the loss of the great painter Willard Yellowhorse. Sublette, who has owned the Medicine Man Gallery for nearly two decades, gives readers an inside peek into the world of the art dealer - while telling a uniquely suspenseful story. Attendees will delight in Paint by Numbers when they have their personalized copies signed - the cover features Francis Livingston's commissioned work Dance I. 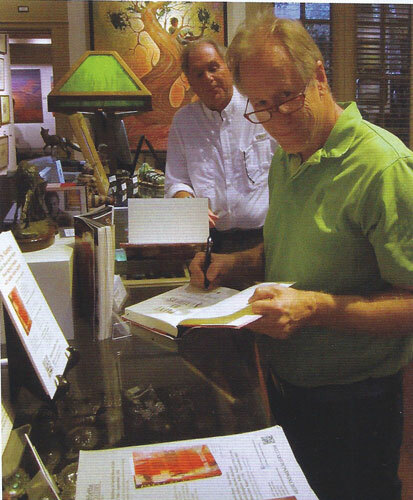 The Tucson gallery will host Dr. Mark Sublette on December 8 from noon to 1 p.m.